Lynn Barnes at Crossroads Jewelry shows a few special pieces to Laura Carpenter and Meagan Carpenter. 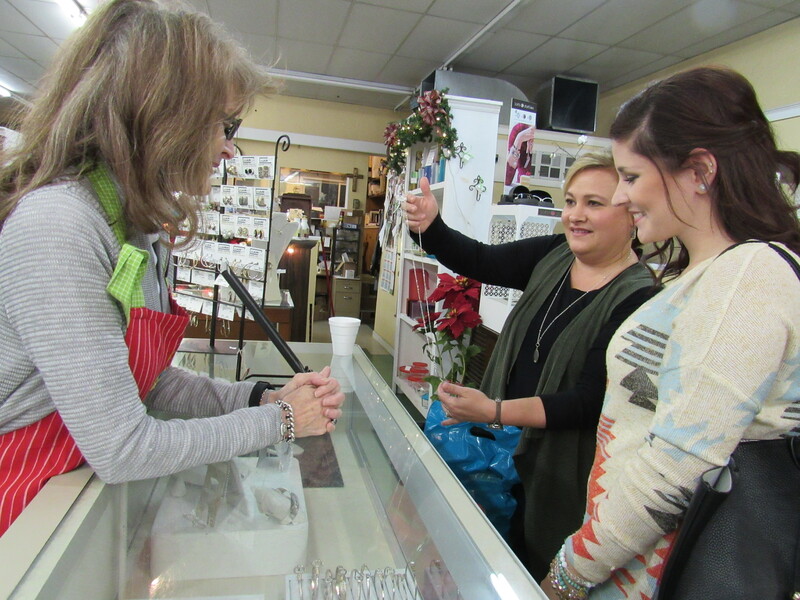 Margaret Harris at Crossroads Jewelry said they have had “nice, steady business” throughout the Christmas season so far. Their top-selling item this year has been Victoria Cross earrings.